Mobile gaming is a phenomenon that is ever-growing. Gaming on the go was definitely a dream of mine. I was tired of playing my Sega Genesis in my room and being forced to leave it at home whenever we would go on a family trip. Of course, Gameboys helped remedy this problem. But now we live in a world where we can access a multitude of games right from our fingertips in basically three steps. Gone are the days where I would wait. I can’t tell you how many times I’ve beaten my own mother at Words with Friends, the exhilaration I felt when I’d beat my score in Temple Run, or any other great experience I’ve had with games. But now you’re not just sidelined to playing the games—you can now make them yourself. That’s what AppGameKit—a simpler engine you can use to develop mobile apps—promises to the user. 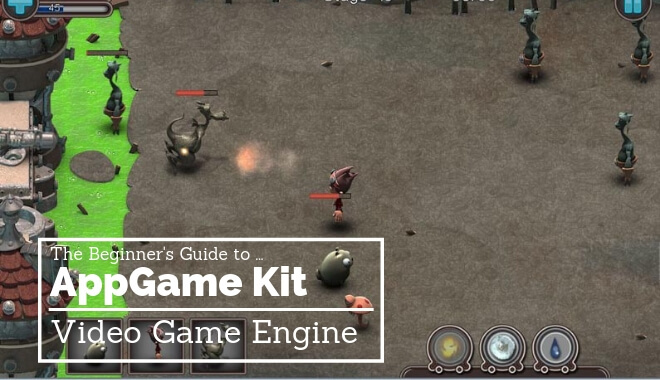 “AppGameKit is an easy to learn game development engine, ideal for Beginners, Hobbyists & Indie developers. They offer to teach you simple coding to get you started on your app or game idea. They use a system called AGK Basic, where the creator can quickly develop and release their product on multiplatform devices. 3D, Augmented Reality, 2D Sprites, and even VR are all here, able to be included in your end result. I perused the showcase of games that have used AppGameKit to develop, and I have to say I’m impressed. I originally thought that the games on display would be simpler, easy titles. Instead, you have games like Echoes III, an extremely stylish game in the Echoes series that promises ‘more eye bleeding that before!’. It reminds me a lot of the wildly successful Geometry Wars: Retro Evolved, which I absolutely loved. I remember late summer nights on Xbox Live playing against friends for hours on end. If this engine can make anything like Geometry Wars, consider me extremely interested. Additionally, they have an app for children called Doodle Draw, which is aimed at younger kids. It touts itself as being able to entertain children for hours with a slew of different colors for the kids to paint with. I love the diversity that this engine has the capability of showing, and already has made a name for themselves doing so. “Don’t take me wrong, I am a visual type of person and I thought that I will never get used to coding, without option to drag and drop things in the viewport. How cool is that? Being an extremely visual learner myself, this is encouraging to me. When I look at lines of code it’s like Egyptian hieroglyphics, so hearing someone like this filled with so much hope about their passion is amazing. Unfortunately for us broke gamers living on a ramen diet, AppGameKit costs some money. They do, however, offer a free trial version for curious potential users. So yes, those prices are pretty steep for first time developers, especially when engines like Godot can offer gaming goodness for free. Although a little pricey, overall, is AppGameKit worth it? Cross Platform—you can develop and test different projects on multiple platforms. This includes the base engine being available for Windows, Mac & Linux. In turn, you can release apps onto iOS, Android, Mac, Windows & Linux. Good support system—the community as well as the developers are very hands-on and are happy to help with whatever tech questions you may have about AppGameKit. Good scripting—the built in AGK Basic allows for many possibilities that are built right into the code itself, doing a lot of work for you in the process. In turn, this makes it easier to identify and read code, making your life easier. You can’t look at anything dealing with AppGameKit without running into something regarding AGK Basic. Educational Apps—I see the potential for educational apps and games on this engine to be amazing. If you were able to develop a great little educational app—something that either entertains, distracts, or deeply educates a child via a tablet or phone, that’s a huge plus. Ease of Use—you can drop in and out, create things easily, and upload them to your platform of choice easily. This ease of use, I hope, will be a mainstay within not only the gaming community, but with everything. Prices– I believe that for what it is advertising, AppGameKit is charging a bit too much. I know these guys have to keep a business running, but for many developers fooling around with code or potentially making a game, we might not be able to fork over that much cash for an exploratory look into game development. Furthermore, I understand that they have to have a proper business model, but I think that most of the info in the paid guides should be free to users. Shoddy Coding—there are some that say that the coding system isn’t ideal and that it will trip up more veteran coders out there. I believe there is no better source than the people who developed it. Along with it being marketed as easy to use, you can count on help from the developers. 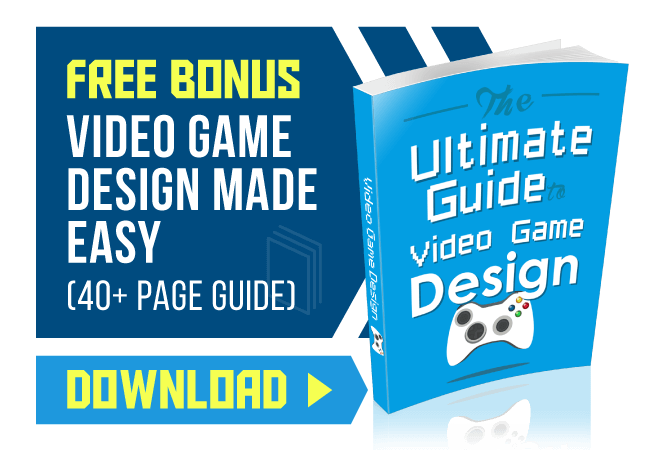 Just browsing the guides that The Game Creators offer give me hope that anyone can truly learn this. I consider myself pretty illiterate when it comes to code, and I feel like I could tackle the work intensive…animated hot air balloon! But seriously, upon reviewing the site, I do feel like I could actually build something with this. Something simple, keep in mind, but something. Starting the site’s tutorial for beginners, you’re introduced to the user interface of the program, ins, and outs, etc. They offer unparalleled access to their content and assistance, giving the user experimental code to work with and everything. They also cater to more intermediate users and advanced users, allowing them to use their code to further perfect their advanced projects. AppGameKit has a YouTube channel all its own. YouTube is my personal favorite way of using tutorials. I need to see what the user is doing. I can’t tell you how many times that I would be either trying to fix something or using a game walkthrough and the author would gloss over important details. As I said before, I’m a visual learner, so AppGameKit taps into that little part of my brain in a great way. They are split into proper tutorials which last around 7-10 minutes, chock full of information on the specific topic within the program. The quick tips videos, for the most part are short tutorials that show the program being used. I think that the short length and the bite-sized bits make it more easily digestible as information. Along with these two categories, the channel hosts videos highlighting the different capabilities of AppGameKit. They show users the water shader update, the very cool drum demo, and even a Galaga-like game called “1982”. Super-fast pixels colliding on a screen, made for free—what else could anyone in the world want? Yes, you guessed it, more YouTube videos! What did you expect? 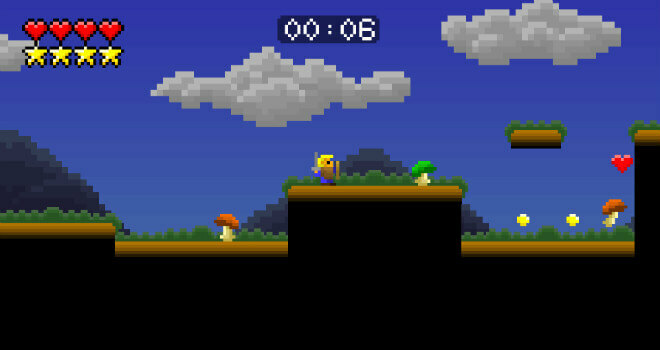 RoomC10 is a user who walks you through the nuances of AppGameKit. Although I had some trouble hearing him, he really dives deep into the engine, and even hosts a bunch of other interesting walkthroughs of different game engines. A truly educated gamer who knows his stuff. Something I have discovered over the years: you can always count on the community to help out. It applies here as well. A like-minded group of individuals all going through the difficulties of game development are all present and willing to help. In this one forum post example, people started compiling code snippets to help each other out. I love the idea of the community feeding off of each other like that and helping one another, which brings me to the last tutorial. Of course, we are all familiar with Steam and its great built-in discussions and community hubs. These community hubs are great for meaningful, (and sometimes not so meaningful), dialogues between gamers and users. I browsed the Steam discussions forum for AppGameKit and found it to be pretty active. They have sticky threads regarding tutorials, active posts from developers themselves, and much more. I love the developer presence on Steam as well as their own site; it shows the dedication to their clientele and fanbase. He literally spells out all of the code so you can see and even use it. This is as close to a YouTube video tutorial as you can get, which is high praise from me. By no means a perfect engine, and one that experiences some hiccups along the way, AppGameKit gets the job done. If you’re a small-time developer looking to make fast, addicting games, AppGameKit may be your cup of tea. However, if you’re looking for a game engine with more horsepower and graphical capability, AppGameKit might not be suited for you. If you’re trying to make a cool little title like Doodle Draw, or the trippy Echoes, I believe that AppGameKit is a solid foundation on which you can build upon. Overall, it has been recommended that if you’re looking to focus on 2D, perhaps with a little bit of 3D, this is a great engine.